QuickBooks Install Diagnostic Tool is a software which is designed to fix errors in Windows PC which may occur while installing QuickBooks in the computer. It can encounter certain errors which may be related to .NET Framework, C++, MSXML. QuickBooks use some of the Microsoft Windows components to install the software in any computer. Sometimes one or more core components may stop working, became unstable or operating system is damaged. At that point, the software will not be installed in the PC and the operating system may pops-up an error message on the screen. QuickBooks Diagnostic Tool can fix all these errors. You just need to quickbooks install Diagnostic tool on your computer and run the program to fix these errors. It can encounter a few more errors as well. 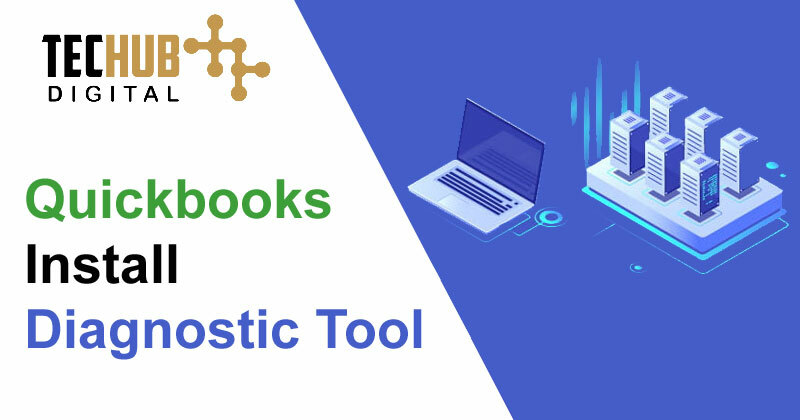 How to use QuickBooks Install Diagnostic Tool? 1. Download the tool in your PC first. 2. Open the file and install it in the computer. 3. When finished installing, close all the other applications. 4. Now run the Diagnostic tool. 5. Now, wait for some time. It may take around 20 minutes to complete the scan. 6. Diagnostic Tool has started to browse the issues and will fix them automatically. Note: Time taken to scan and fix the issues depends on the speed and performance of the PC. 1. After the completion of the diagnose restart the computer before running any file or software in the PC. 2. After a restart, you may need to register again on QuickBooks. 3. If you are using outdated Windows then you may need to update your Windows as well. Quickbooks may not be able to install or open when your windows is out of date. Sometimes windows updates include an available fix for C++, .NET Framework, MSXML, and other issues. 1. Check your Windows Updates, if your is windows are out of date then update your windows. 2. After installation updates, restart your pc/laptops. 3. Try to install Quickbooks Desktop again to see the issue has been resolved.